Our Open X-Series is simply the X-Series design with more open decking area, 47% to be exact. Open X-Series plastic decking boards are popular with boat dock owners in regions where there are government regulations on open-area docks, or where there are strong winds, waves, high water or storm surges. With its modern-looking design, more people are also choosing the Open X-Series dock decking for its sleek style. 47% Open Area- Titan Open X-Series meets most U.S. Government regulations for Open Area. Titan Deck is the top choice for commercial and residential boat piers, marinas, and marine docks. In addition, Titan decking is perfect for gangways, stairways and section decking. Our dock decks will add to the appearance, safety and durability of your dock system—no matter how large or small. Barefoot friendly, skid-resistant dock deck surface. Stays cool even in extreme temperatures. Titan decking is designed to allow dirt, sand and debris to pass through while it also allows sunlight to penetrate vegetation below your water dock. *Titan Open-X Series offers 47% open area which meets most US government regulations for open area and light penetration. 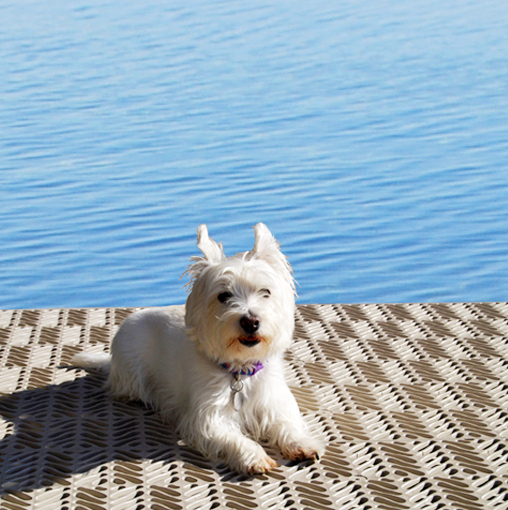 Strong, durable and virtually maintenance-free dock decking. Dirt or spills clean easily with just soap and water. Designed to minimize damage from wind, waves, high water and storm surge. Titan decking will not rot, curl, warp, dent, splinter or bend and never needs staining or painting. Titan Deck plastic marine decking is made of injection-molded polypropylene and comes with a 12-year limited warranty. Tested in temperatures ranging from -25°F to 120°F (-32°C to 49°C). UV protected to minimize dock deck fading. Add aluminum stiffeners to create a reinforced Titan Deck board able to cover longer spans and for more stability on your boat dock system. Titan decking is manufactured in individual boards for flexible and easy installation. Simply screw the boards to your existing boat dock system frame. The dock boards can also be assembled into panels that allow easy removal for winter, or for easy access to water dock utilities such as electrical and plumbing. *With 47% Open Area, Titan Open X-Series meets most U.S. Government regulations for Open Area. Titan Deck is the ideal decking for many commercial and residential decking applications. 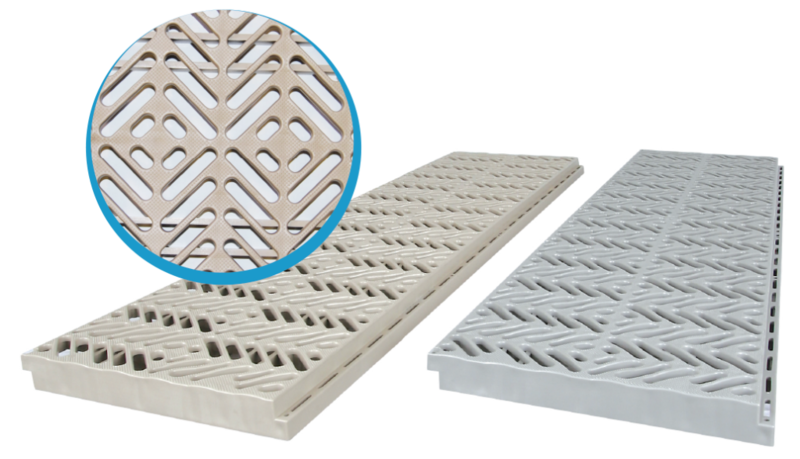 With its maintenance-free skid-resistant surface, it’s no wonder Titan Deck plastic decking is the first choice in so many industries. Copyright © 2019 Titan Deck – A Product of Voyager Industries. All Rights Reserved.